Hiiumaa - an island in the Baltic Sea is rich in diverse, beautiful and untouched nature and nice people. 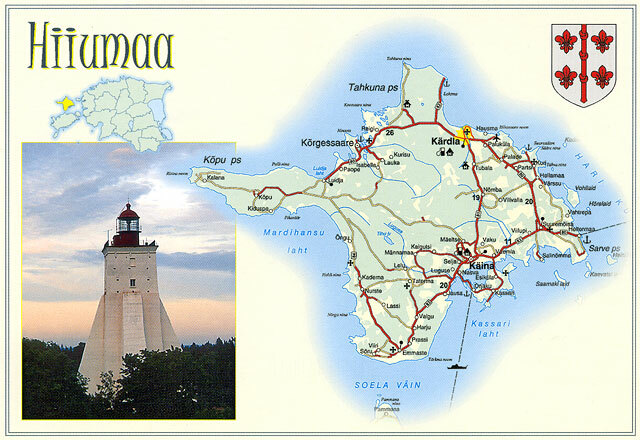 The area of Hiiumaa together with the surrounding islands is 1,019 sq km, population 11,490. 500 million years ago near the site of the current town of Kardla, a cluster of atolls was formed as a consequence of a meteorite explosion. These were the first islands on the current site of Hiiumaa and the fore-mentioned hundreds of millions of years make Hiiumaa one of the oldest islands in the world. 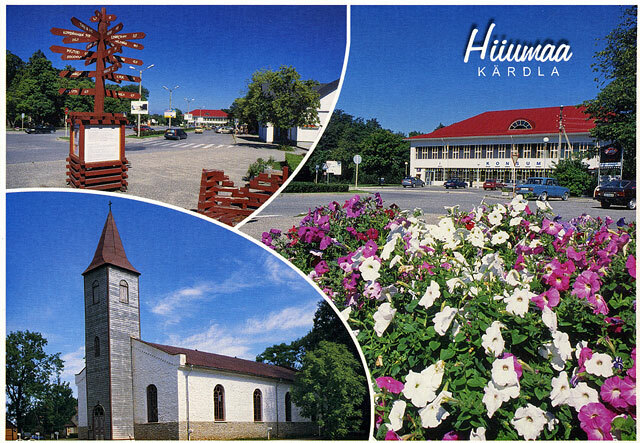 It is hard to find a more diverse place in Estonia than the Island of Hiiumaa. Landscape types and views change very quickly, being at the same time beautiful and miniature they combine to make Hiiumaa what it is. In summertime almost everyone is attracted by the of several kilometers long, sandy beaches in Tahkuna and the Kõpu Peninsula. The small islands surrounding Hiiumaa are like colorful pearls around the neck of a beautiful woman. Among the more than 200 islands and islets there are bigger islands with forests as well as islets that have risen from the sea just recently and are not yet covered with vegetation. 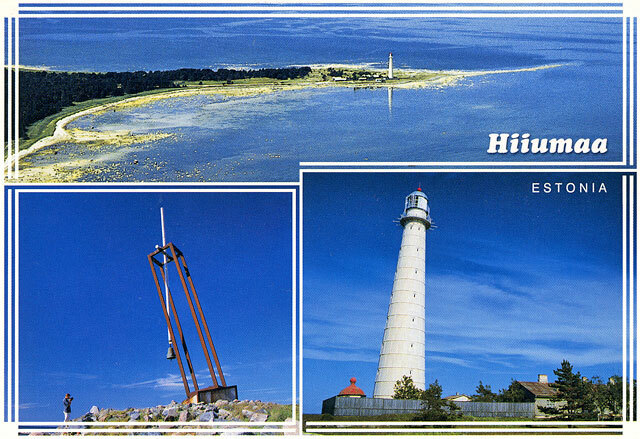 Due to the surrounding sea the climate of Hiiumaa differs from the climate of the Continental Estonia. There are more sunny days and less rainy days. People of Hiiumaa have a quiet and tolerant personality. They are very close to the nature, they respect and love nature. People of Hiiumaa love jokes and it is very important that you understand the jokes. 1. 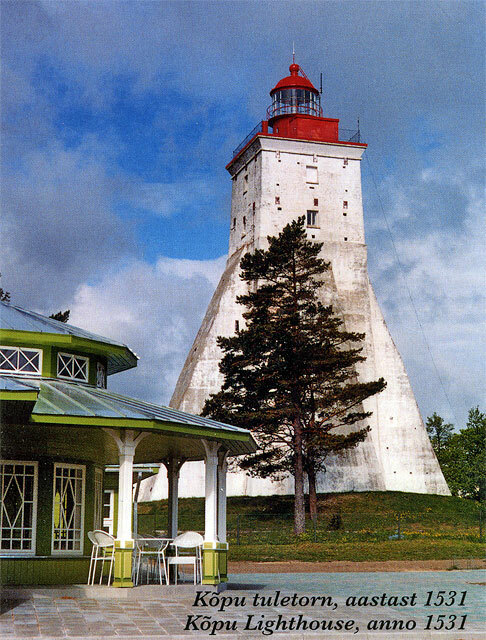 Kõpu Lighthouse is the most famous tourist sight of Hiiumaa, one could even say it is a symbol of the island; it is the third oldest working lighthouse. It is known that in 1490 the Hanseatic League requested the erection of a signal light. The completion date of the building of the lighthouse is considered to be 1531. The light of Kõpu can be seen for 35 nautical miles. It is possible to ascend to the top of the lighthouse. 2. The constructions of the Tahkuna Lighthouse were made in Paris in 1874 and set in 1875. The Lighthouse is 42.6m high and the light can be seen for 18 nautical miles. 3. Mihkli Farmhouse Museum. 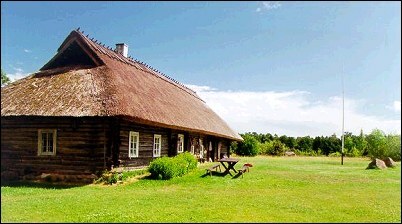 The Open Air Center of the Hiiumaa Museum is a farmhouse complex dating from the 19th century. Visitors may get acquainted with the farmhouse buildings and order a picnic with a smoke sauna. Here the TV series "Farm" was filmed by TV3 in 2002. 4. Reigi Church. 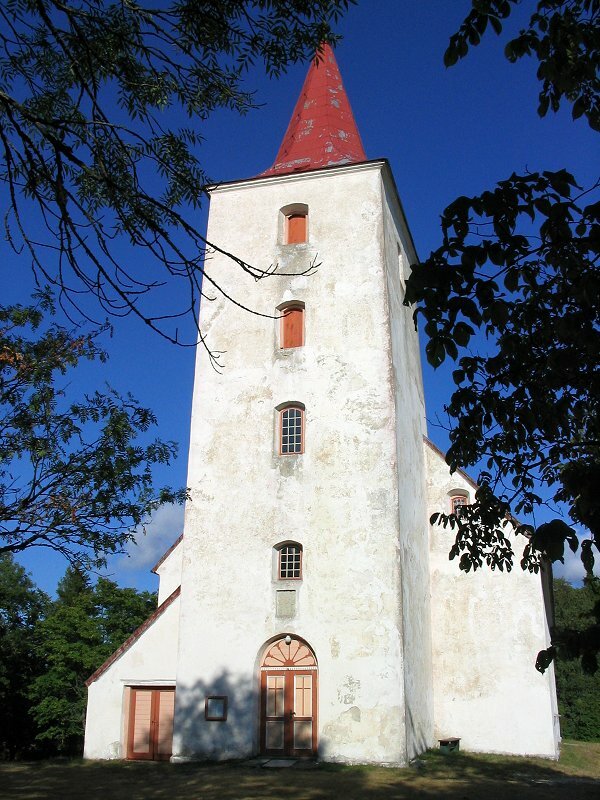 The stone church was built in 1802 by the owner of Kõrgessaare Manor and landlord of Hiiumaa O.R.L. von Ungern-Sternberg, also known as the Beach Robber and the Count Ungru. He built the Church in memory of his son Gustav. 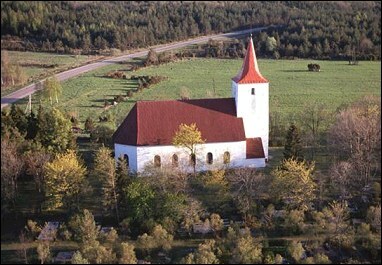 The first minister in the Church of Reigi was Paul Andreas Lempelius, the name of whose was recorded in the story by writer Aino Kallas "Reigi Minister" ("Reigi õpetaja"). 5. Rebastemäe Nature Trail. 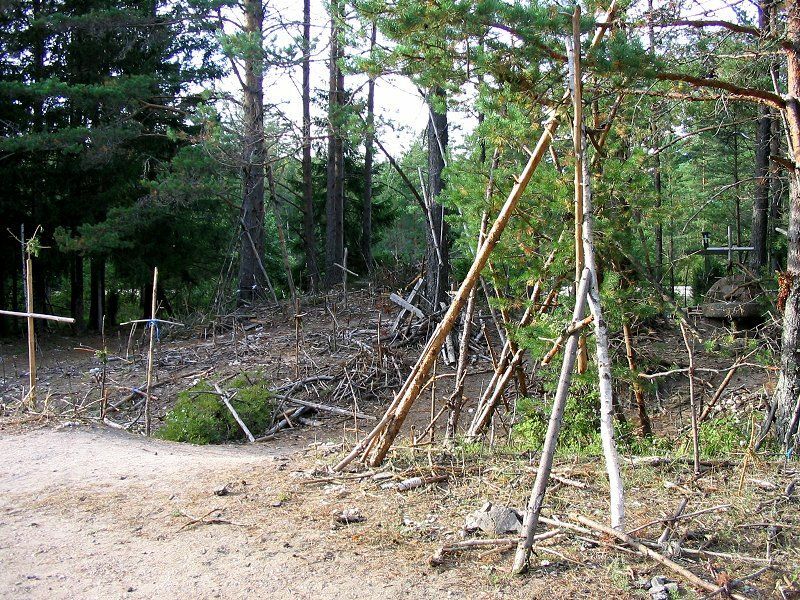 The marked walking trail 1.5km long starting from the Kõpu Road, from the Unikivi (Sleep Rock), passes over high hills covered with different types of forests that were originally ancient islets and coastal formations. The Track passes through the highest point of the region of the West-Estonia - Koplimägi (63.5m); a beautiful view of the Gulf of Mardihansu opens from the Rebastemägi (Fox Hill) 45 meters high. 6. Neljateeristi / Four-Road-Crossing Nature Track offers four different walking routes, which all give a good opportunity to get acquainted with the nature, species, old village roads and farmyards of the Kõpu Peninsula. Four-Road-Crossing used to be the place, where people of Hiiumaa in old times came for help in case of need or fear of need. 7. 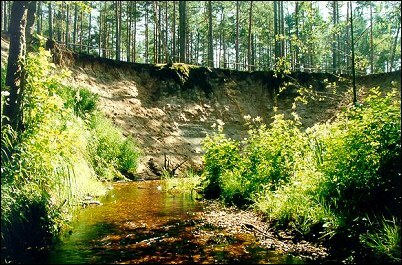 The picturesque Valley of Vanajõe, situated on the Luidja-Emmaste Road, has been washed into the sand islet to a depth of 10m. The brook of clean water, feeding mainly from springs, is a good spawning place for salmon; on the shores a beautiful pine forest grows. A few years ago the European mink was brought to live here. 8. The 3km long gravel ridge in Kassari, stretching to the sea - Sääre Tirp is one of the most beautiful and loved places of Hiiumaa. The story of the formation of the place is connected with a legend according to which Leiger, an ancient hero of the island, attempted to build a bridge between the Islands of Hiiumaa and Saaremaa. 9. The Gulf of Käina and the Nature Study Track of Orjaku. On the 4km long nature trail you can get acquainted with one of the most famous bird reserves in Estonia, situated in the Gulf of Käina and its surroundings (1280 ha). For bird observation 3 observation platforms have been built, there are plank roads to smaller reefs and a pavilion with a permanent exhibition, introducing local nature. Up to 92 different species of birds nest in the Gulf, and in the period of autumn migration the number of birds in the Gulf can reach as many as 15 000. 10. The Ruins of the Church Käina. The biggest Gothic style church with 600 seats was built in the beginning of the 16th century. The Church was destroyed by fire in 1941. Among other works of art the organ, built by the farther of a famous composer Rudolf Tobias was destroyed. 11. Kassari Exhibition House of the Museum of Hiiumaa. 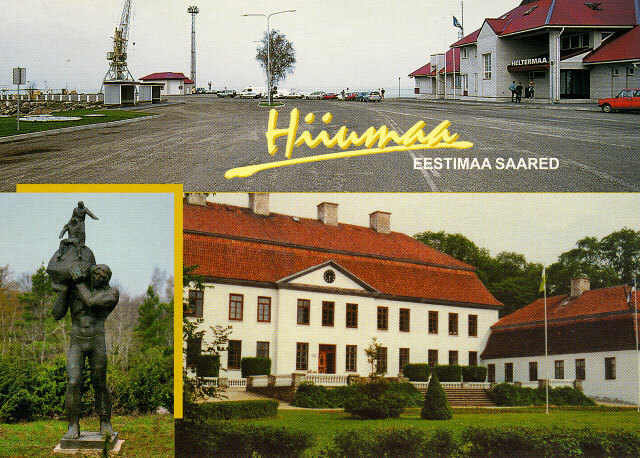 The exposition of the Museum covers the time from the beginning of the history of Hiiumaa until the 1990-s. Here you can also find "The Last Wolf of Hiiumaa" the famous stuffed wolf. After many years there are currently wolves again and even a bear on the island. 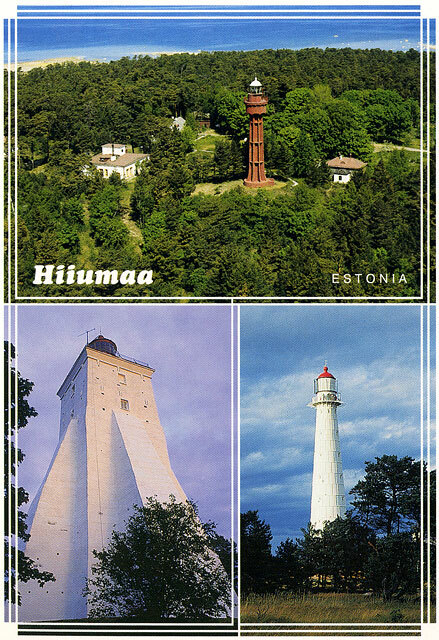 You can see the famous historical personalities of Hiiumaa - Jacob De La Gardie, Ebba Margaretha von Stenbock and Otto Reinhold Ludwig von Ungern-Sternberg - the famous "Count of Ungru". 12. Hiiumaa Museum (Long House) - the building, erected in 1830-s as a living house for the directors of the Kärdla Cloth Factory (1829-1941), is the longest wooden house in Kärdla (more than 60 meters in length). In addition to the history of Kärdla and the Factory the permanent exposition of the Museum allows you to get acquainted with the living house of the factory workers. Throughout the year different short-term exhibitions take place. 13. Kärdla Primeval Crater. The 4.5km in diameter meteorite crater originates some 500 million years ago. The region offers the real pleasure of discovery to those interested in geology; a nature trail with an observation tower passes through the crater. 14. Suuremõisa Castle. 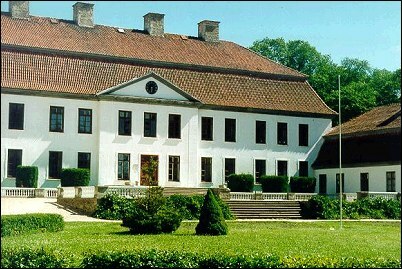 Suuremõisa Castle was built in the second half of the 18th century on the initiative of Countess Ebba-Margaretha Stenbock (1704-1776). The wings are erected in 1772. There are 64 rooms in the Castle. 6 ponds were dug in the grounds of the Castle and a park and a garden established. 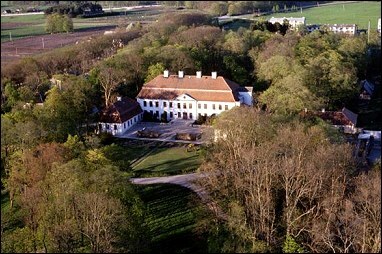 In 1796 the Castle was sold to Baron Ungern-Sternberg. The attic of the Castle has double-ceiling, where the Baron used to hide the treasures stolen from ships that had sunk in the Näkimadalad. On 19 October 1802 the Baron killed Karl Johannes Malm, the Captain (of Swedish origin) of his ship "Brig Morian", in this Castle. For this the baron was deported to Siberia. There are currently two schools in the Castle: Suuremõisa Gymnasium and Suuremõisa Technical School. In the latter one can also study how to become a ship's captain. 15. Pühalepa Church or the Church of St Lawrence is one of the oldest churches on the island. At first the Church was without a tower and was probably built in 1270. The Church has been rebuilt several times; in 1770 the Church got a tower. The Countess Ebba-Margaretha Stenbock (1704-1776) is buried in the sepulchre next to the Church; her great-grandfather Jacob De la Gardie once owned the whole of Hiiumaa. 16. 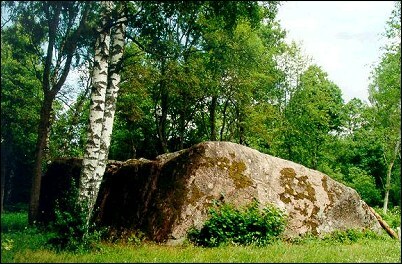 Kukka Stone, under environmental protection, is one of the biggest boulders in Estonia. The length of the Kukka Stone is 16.4m, the width 11.0m and the biggest height 3.7m, the circumference – 42.6 meters. 17. Soera Farmhouse Museum. Soera Farmhouse was built in 1848, the museum was founded here in 1979. The Museum gives an overview of the life of inhabitants of Hiiumaa of previous times. An additional charm is added to the Farmhouse Museum by the fact that here you can also taste the past pleasures: smoke sauna, homemade beer, sometimes also salted herring. 18. Ristimägi / Cross Hill. There was a time when many Swedes lived in Hiiumaa, who, according to the freedom letters of the Swedish King, were free people and did not have to perform corvees to the manor, unlike the Estonians, who were serfs. That of course was not to the landlord's liking. When Hiiumaa went under the reign of Russia, in 1781 Catherine II deported the Swedes living in Hiiumaa to the Ukraine. This is the place from where the border of the home parish of the deported people started and the memorial divine service was held; in the hope of returning home someday crosses were made. You should also make your own cross here and wish something good for yourself and the island - it brings luck.